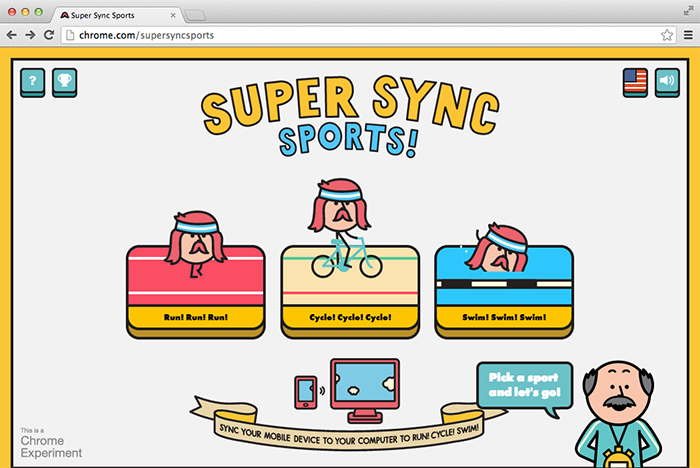 Led technical production of Super Sync Sports, a Google web experiment video game. Mobile phones are used as controllers for the desktop game, and touch gestures control the play. Game and game engine for both desktop and mobile, including interaction and gestures, websockets communication and latency compensation, backend game servers, and cloud architecture. Working with Rami Niemi and designers at Google Creative Lab, processed illustrations and artwork (workflow and pipeline), built character gameplay and code driven animation.